Great health breakfasts with only the freshest fruits are served on the patio with your choice of juice or tea. We have created an environment where you will find only superior products and treatments in a beautiful and tranquil environment. 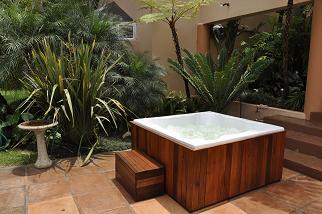 Between treatments you can make use of the heated, outside pool, Jacuzzi or just laze around. Lunch is menu based and served with a choice of 2 juices. We would like to invite you to rejuvenate your body, mind and soul? So leave behind the stresses of everyday life and come and enjoy some ?me time? 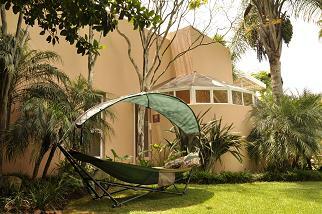 Crane?s Nest Guest House @ 313 offers the very best luxury self catering and B&B accommodation in Pretoria. Whether you are a discerning businessman or a connoisseur world traveler you will love the special, personal attention and excellent service. Home away from home, quiet, safe and friendly environment. Beautiful spacious, comfortable rooms for a restful night. Relax in a tranquil landscape garden with its abundant birdlife. Enjoy a choice of health, Halaal, or English breakfast served in the dinning room or on the patio next to the pool. Dinners and lunch is served on request. We also offer self catering garden suites, which are unique in character, taste, fully equipped and service daily. The guest house offers a large billiard table in its own private room. A unique conferencing and event venue situated in the heart of Waterkloof Ridge, Pretoria. Our exclusive range of conferencing facilities cater for corporate events of smaller size. Private functions and executive meetings with the highest standard of technology catering and personalized service, our team of dedicated conferencing professionals will surpass your expectations. Located in the East of Pretoria. Nestled High on the Ridge of Waterkloof. Cranes Nest @ 313 is situated amongst Embassies, Shopping malls (Menlyn and Castle Walk), restaurants, Waterkloof Air-force base, N1 highway, schools (Watererkloof Hoërseunskool) and The Kloof hospital. We do shuttles from O.R. Tambo International Airport daily. The popular Blue Crane Restaurant is in the Sanctuary area and overlooking the lake in the Austin Roberts Bird Park. Bird hide from Sasol is the popular spot to watch 189 different bird species from. Game tours and various tours started daily from Crane?s Nest Guest House @ 313 like the diamond, goldmine, lion, elephant park, museums, apartheid museums, Soweto by day and nigh tours, Cultural Village tours are only a few to mention. 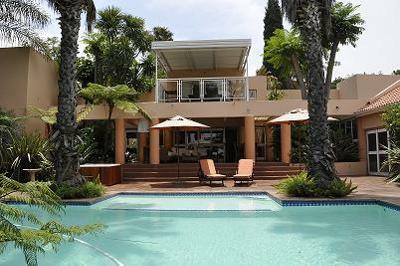 Physical Address: 313 Aquila Avenue, Waterkloof Ridge, 0181. Postal Adders: P.O Box 2759. Brooklyn Square, 0075, South Africa.